‘Solmeo’ gets its name from a small cluster of pine trees. 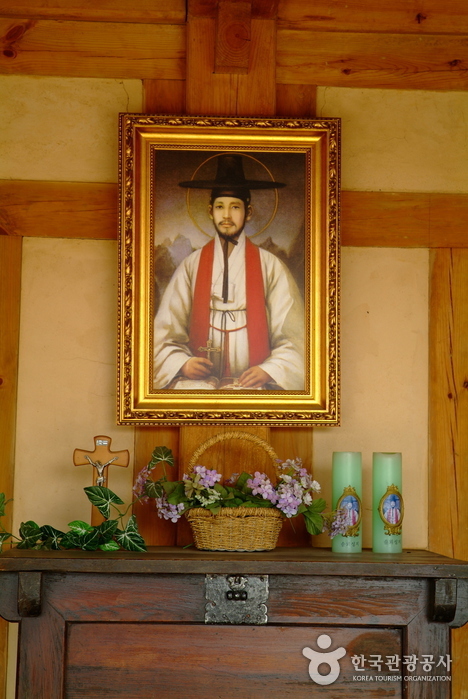 The first Korean priest, Saint Kim Dae-gun Andrea was born here on August 21, 1821 and continued to live until he was seven to escape from persecution by following his grandfather to Handeok-dong, Yongin (Golmaemashil). 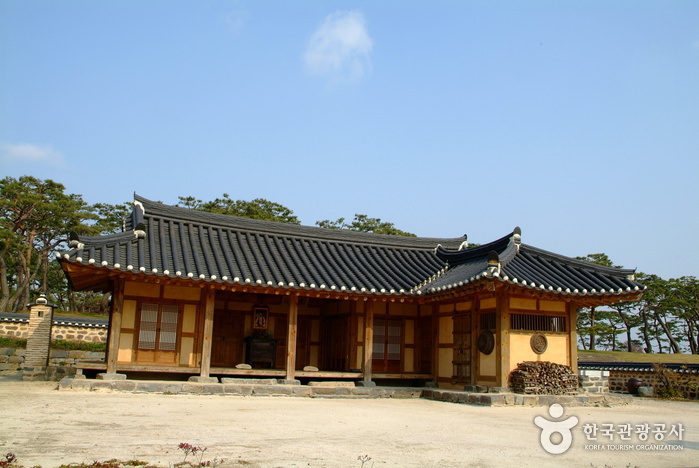 Furthermore, it is where four generations of ancestors such as his great-grandfather Kim Jin-hu (martyred in 1814), great uncle Kim Han-hyun (1816), father Kim Jae-jun (1839), and priest Kim Dae-gun himself (martyred in 1846) lived. He was chosen as a theological student in Golmaemashil and studied in Macao. In 1846, he was ordained as a priest by Bishop Ferréol in Shanghai, Kim Ga Hang Cathedral. After his return to Korea, he worked in Yongin until September 1846 when he was tried, executed and died a martyr when he was only 26. Pope Johannes Paulus II appointed him a saint during his visit to Korea in May 1984. 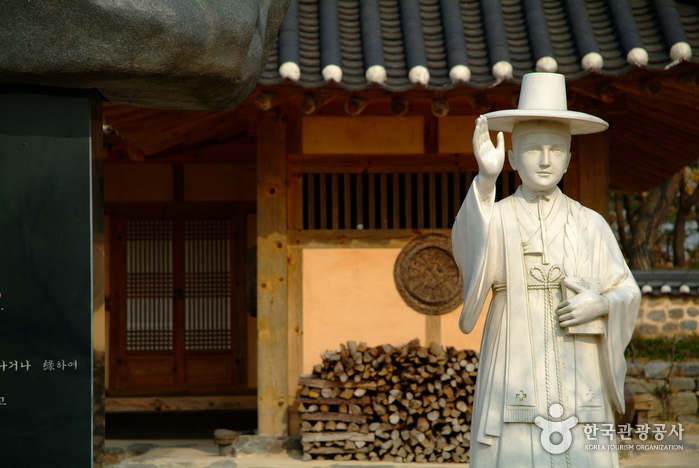 In Solmoe, Priest Kim Dae-gun’s statue and a memorial stand underneath the pine trees and his remains are placed inside the nearby cathedral.